I’ve gotten enough material for the stories needed to finish the set I’m releasing in mid-July, plus ideas for a three-part novella set about the period from the departure of the Romans to the return of official Christianity into what is now Styria and Carinthia (roughly between the years 300-800). I’d like to say a word of thanks to those of you who have left reviews of my books at Amazon, B&N, Kobo, and other places. I really appreciate your taking the time and effort. OK, now back to working on stories and drawing up lesson plans and exams. Due to a jet-lag related lack of functional brain cells . . . Behold, the Greater and Smaller Catechisms. (Yes, I was a little surprised that she didn’t evaporate when she came in contact with the book. It is The Small Catechism by Martin Luther, in English). 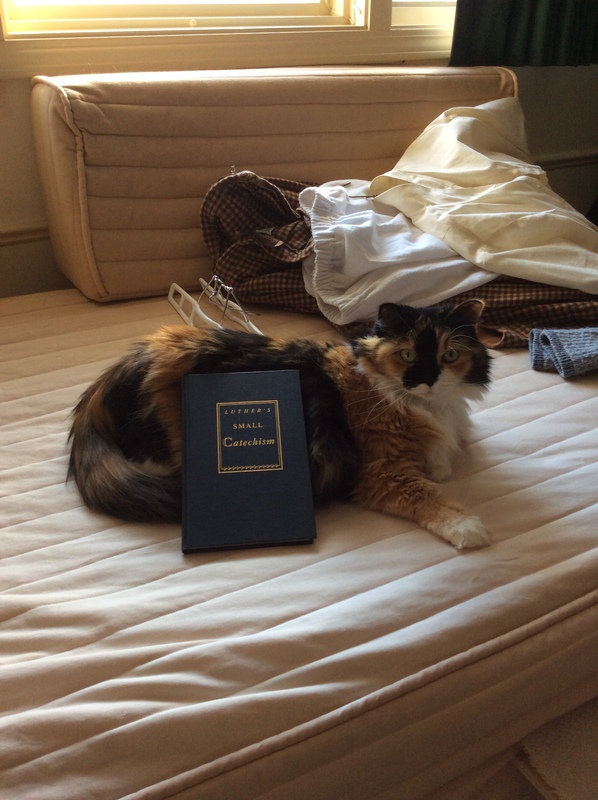 Obviously Athena T. Cat is not impressed with the imposition of Lutheran orthodoxy onto her nap. Americans look at the Liberty bell, or the ruins at Mesa Verde, and say, “Wow, that’s old.” In Santa Fe, NM, and a few places on the East Coast, we have cities that date back two hundred, at most four hundred years (not counting those unintentionally built on the top of older Indian camps or settlements). 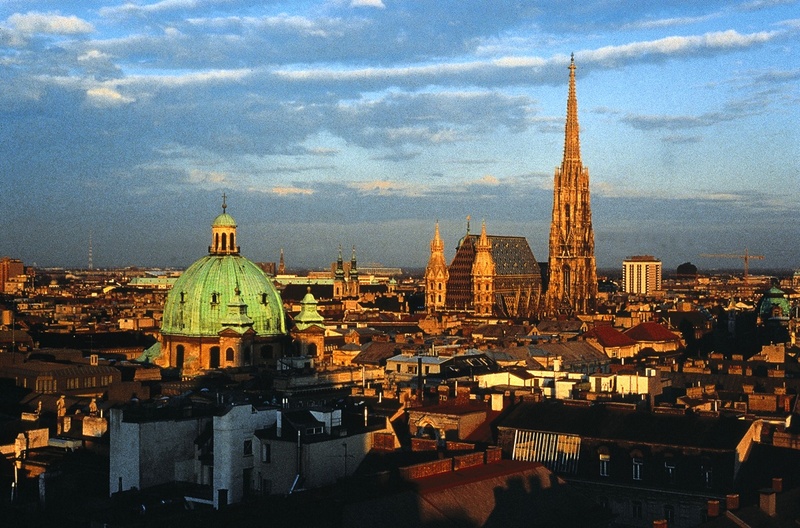 Vienna is two thousand years old. There’s something a little mind-blowing for someone conditioned to the time-scale of North America when they go through a cafe, down a flight of steps, and find themselves in Roman ruins. That was my introduction to Vienna. Posted in Book Reviews, Gripes, Misc. A mildly rambling meditation on improvement, empires, history, and fiction . . .
A lovely stream dances and sparkles down the side of a mountain meadow. Sunlight glints off the wet rocks in the cold water, and in a few still, tree-shadowed pools, the flash of a shadow hints at the presence of trout. A few water striders scoot over the surface. Farther downstream, the little brook slows and spreads gaining the title of River and picking up a little silt, no longer cold and diamond clear but a touch muddy, especially after rain. It winds slowly, starting to meander across the plateau that sits between the mountains to the west and the broken, mesa-capped plains to the east. Or I could say that the stream went from a Rosgen Aa2+ in a Type II valley to an A/II and then a G4/VIII.